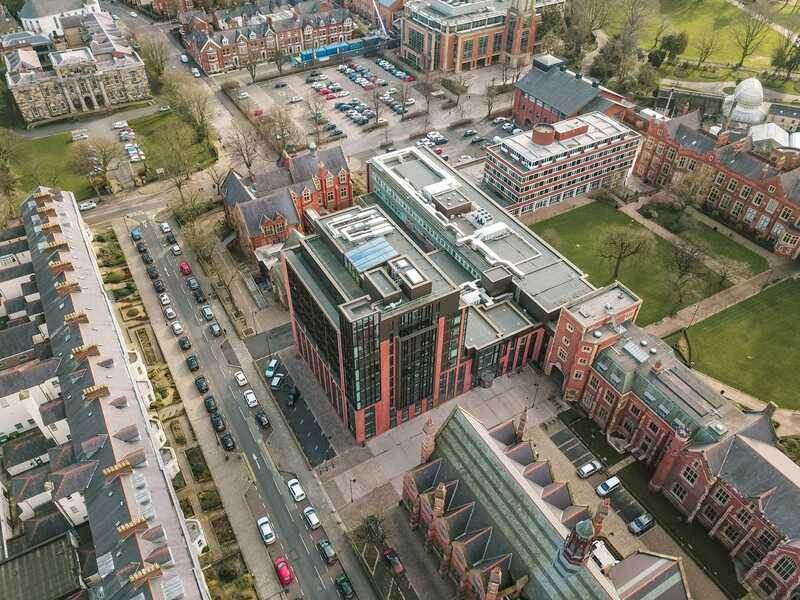 Queens University Belfast’s School of Law is a landmark building, providing high quality, integrated teaching, learning and research facilities. 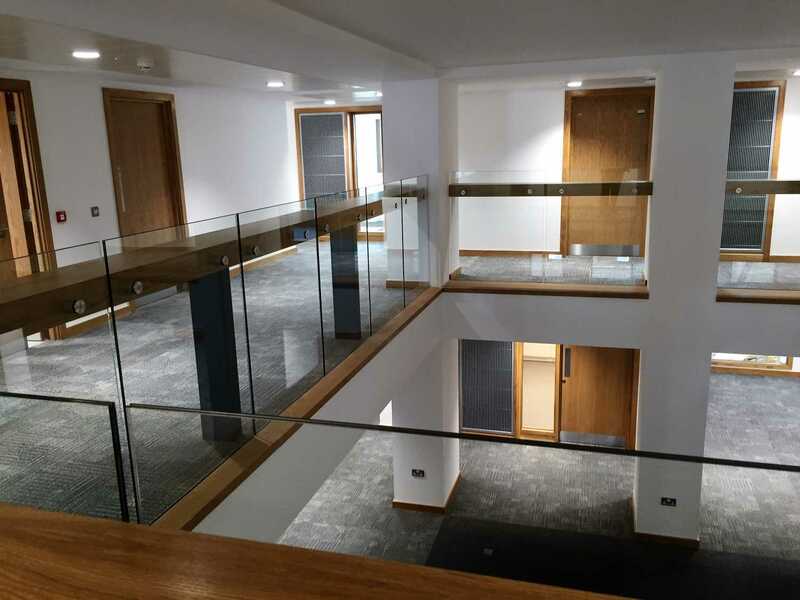 The ten storey main-tower which accommodates faculty offices integrates with a three-storey hub building which provides an open free-flowing space which links to the adjacent central teaching facility. 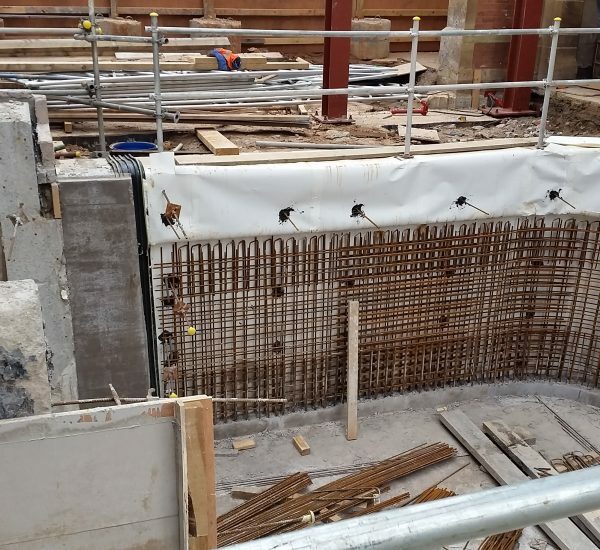 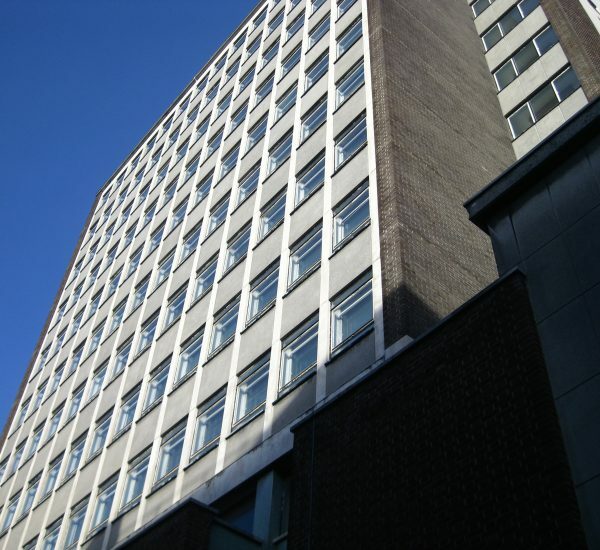 The tower incorporates the double height basement and seven storey reinforced concrete frame of a former library stack building. 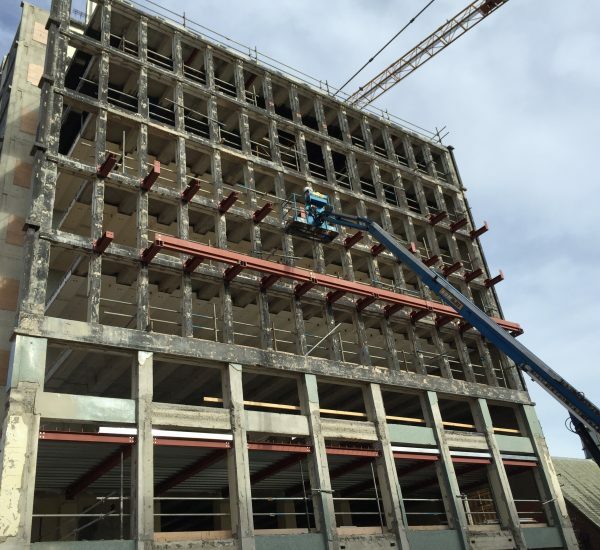 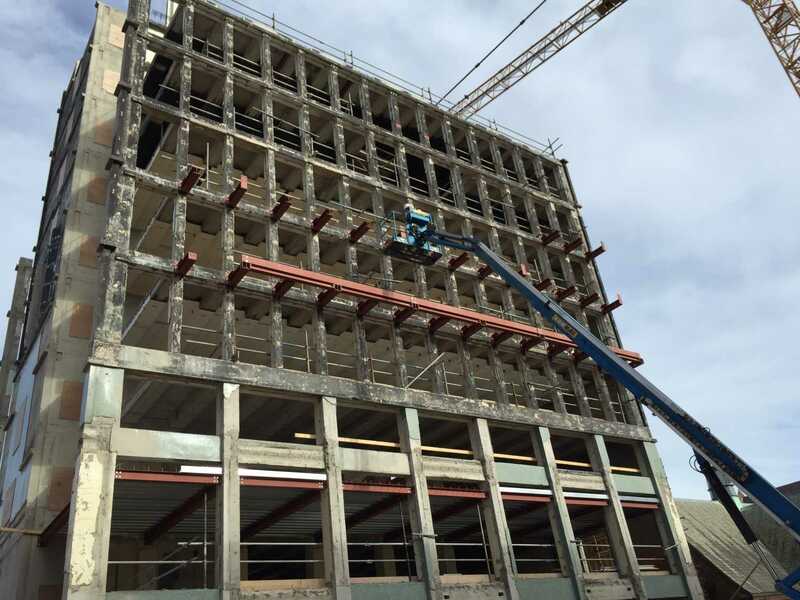 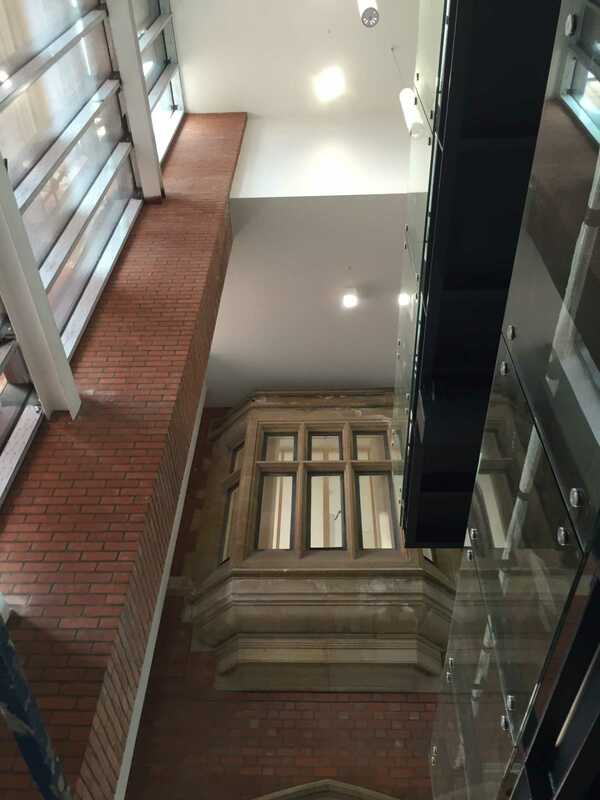 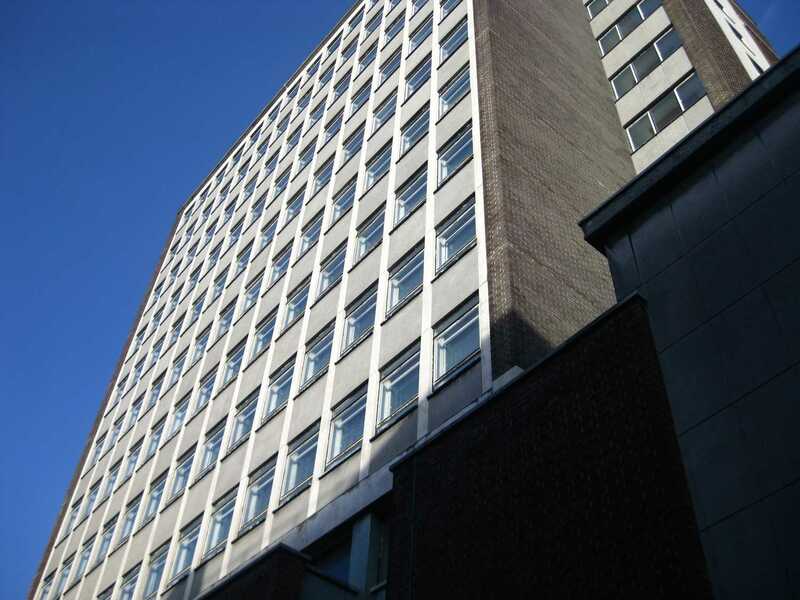 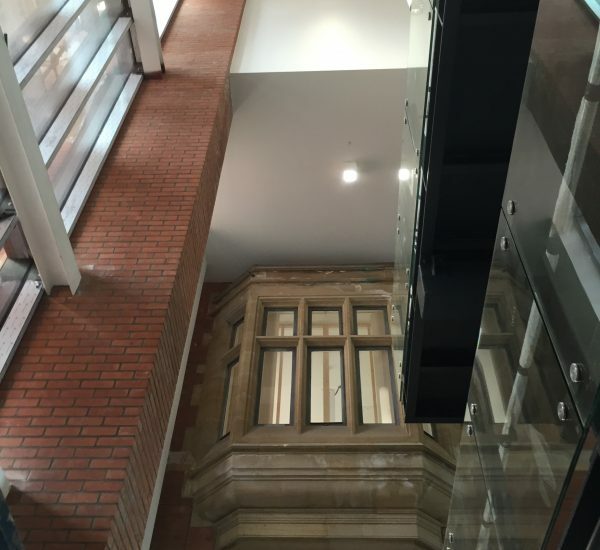 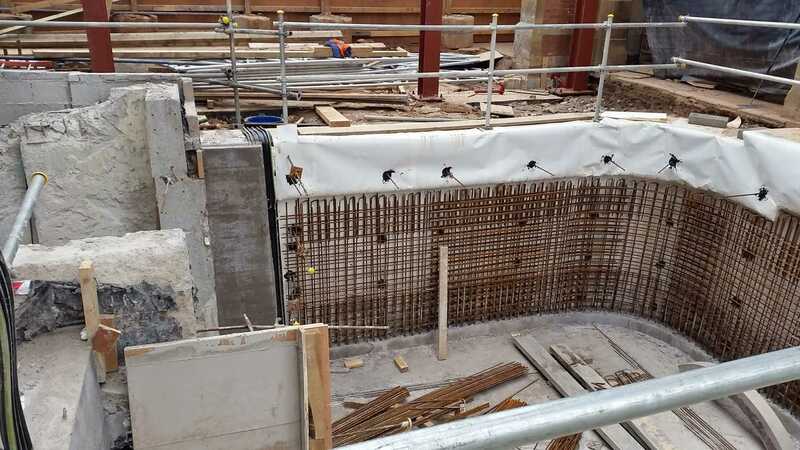 The structure of the former library stack was reduced in height from ten storeys, external projecting bays were removed and double height atria were created at various levels through partial demolition. 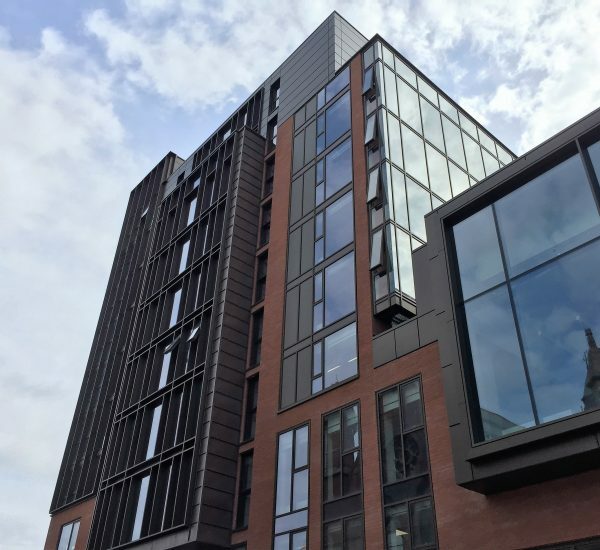 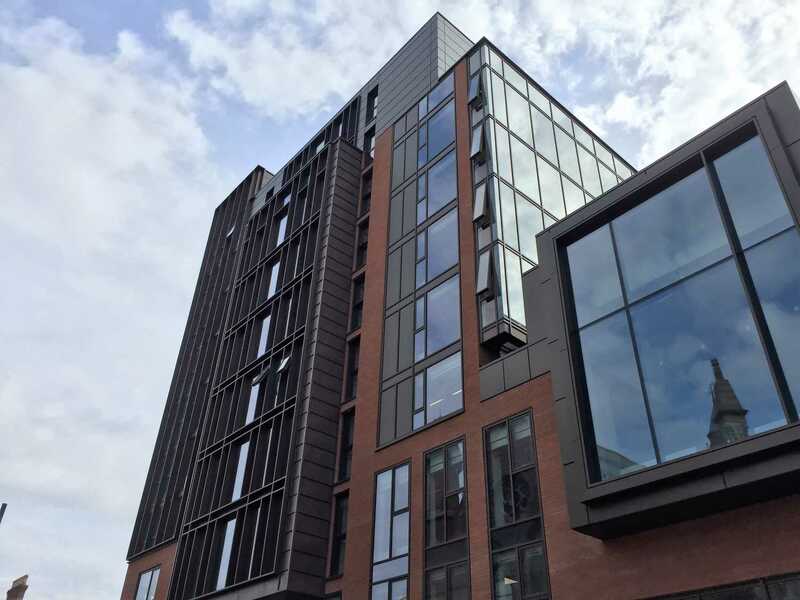 The frame was re-clad with an environmental glazed, double-façade which enhances, through natural ventilation, the energy performance of the building. 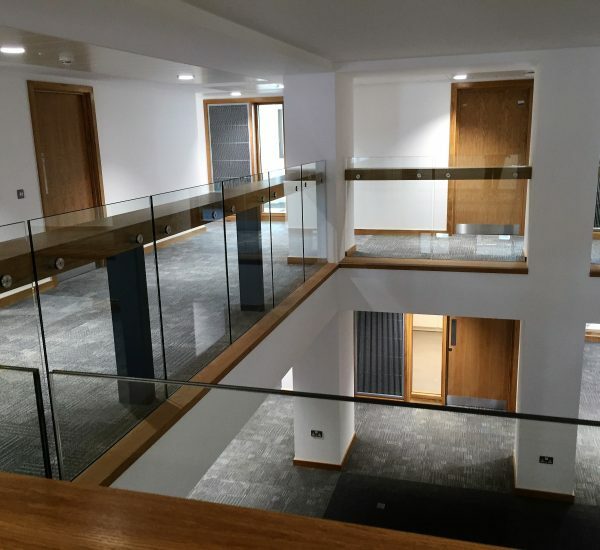 The low rise Hub building is steel framed and features an open link-bridge, stairs and lifts and a triple height social space with cafe and break-out areas.